I was delighted to see Big Red return to Hudson Street. 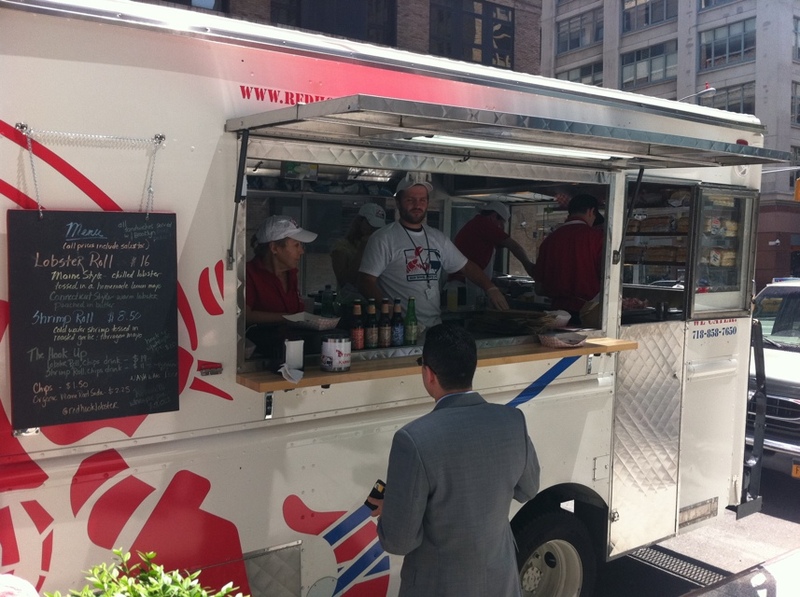 The warmer weather makes it the perfect time for a delicious lobster roll. While I can’t recommend the Red Hook Lobster Pound Truck’s Connecticut-style lobster roll (not because it isn’t delicious, but because the bun gets soggy which makes it very difficult to handle as street food), I was determined to try their Maine-style roll, which I expected to be easier to handle. The menu is not for the faint of wallet, but it is also not unreasonable. 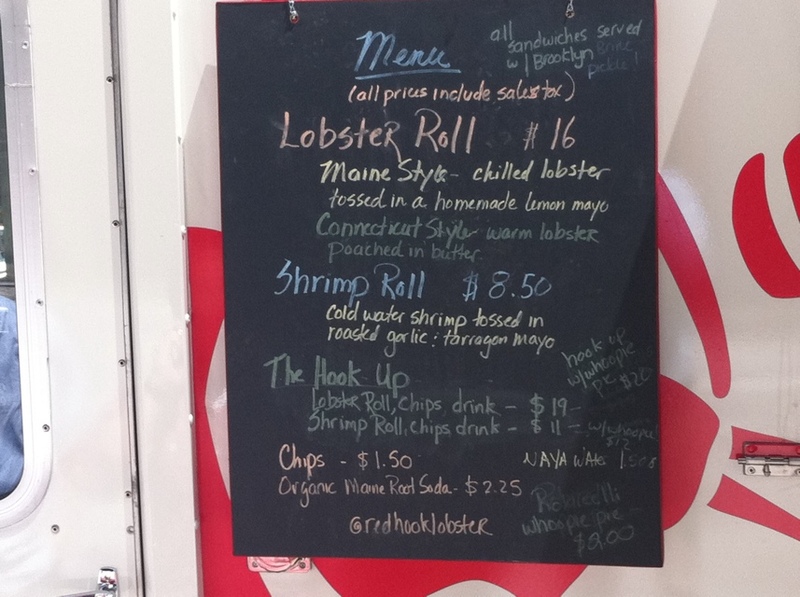 As you can see the lobster roll is $16. If you get “The Hook Up,” for $19, it includes chips and a drink. For $20, you can get all of that plus a whoopie pie. Who doesn’t love a whoopie pie? Either way, on this particular day I felt compelled to just get the Maine-style roll. I’d been dining on them from Luke’s Lobster for quite a while and found them extremely compelling. 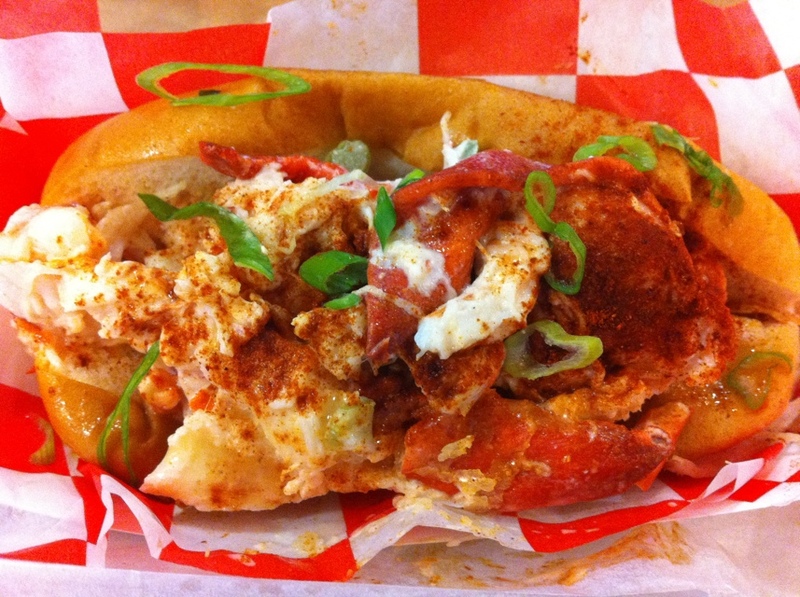 How does Red Hook Lobster Pound’s Maine-style roll stack up? The RHLP Maine-style roll. Just look at it. How gorgeous does that look? Beautiful, right? 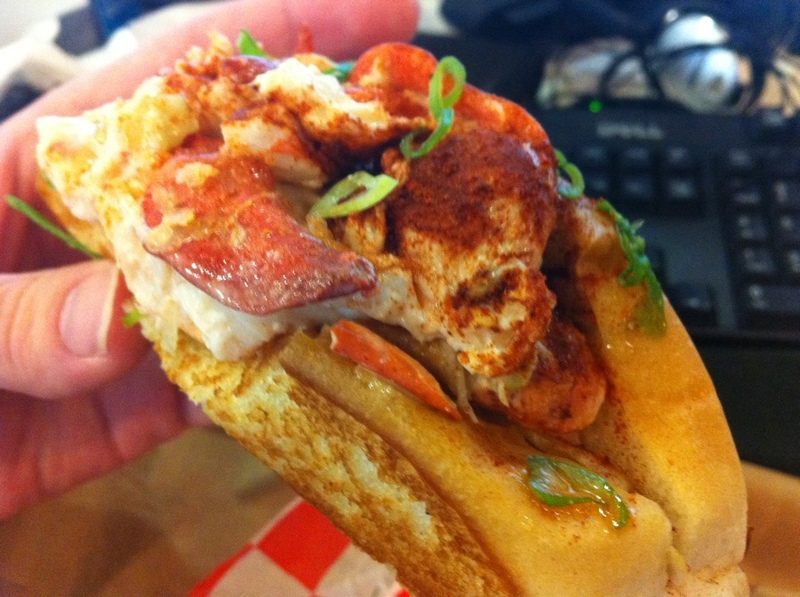 Large chunks of lobster, lemon mayo, scallion garnish, shredded lettuce beneath, and tarragon powder. As good as it looks, believe me, it tastes better. It is excellent. Their Maine-style roll is well toasted and well buttered. This is tier 1 stuff, no doubt, and it does not suffer from the soggy bun issue that vexes the otherwise excellent Connecticut-style roll. This roll was well toasted, crispy and crunchy. There was some sogginess in places, but I can’t really hold that against the sandwich. The butter flavor was strong and thorough. Between the mayo, butter, and crisp lettuce below, the overall sandwich has more of a “lobster salad” feel but it is easy to recommend. It’s delicious, especially on a bright, beautiful day. Winning.